As a mother of five, I used to dread cold and flu season. Luckily my kids are at an age when they aren’t really walking Petri dishes anymore. But when they were little, from around Thanksgiving to Easter, I sometimes had a revolving door of sick kids in the house. Children are going to get sick. There’s no way around it. Plus, flu season is a bear this year. According to the CDC, right now the flu is the most widespread in the US it has been since the center started monitoring. The incidents of severe infection, hospitalization and death even in young, healthy people are higher than usual. With that in mind, I am all about taking precautions to keep my family healthy and safe. What can we do to protect ourselves and those around us? 2. 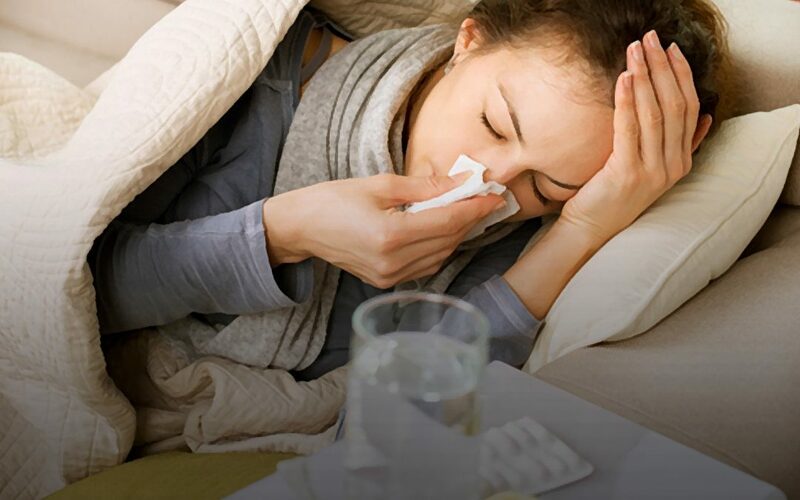 Staying home when you are sick, and keeping your children home when they are sick. 4. Covering your cough and sneezes with a tissue, or coughing into your elbow when a tissue is not handy. 5. Avoiding touching eyes, nose or mouth. 6. Washing hands often and thoroughly. 7. Keeping hands off commonly germy surfaces in public places such as doorknobs, phone receivers, escalator and stair rails, and just about anything in public washrooms. 8. Wiping down surfaces that may have come into contact with contagion, as flu germs can live on them for up to 24 hours. 9. Taking care of yourself by getting enough sleep and eating healthy. One thing you don’t need to do is use harsh chemicals to keep colds and the flu out of your home. Norwex offers some great alternatives to bleach and toxin-filled disinfectant wipes, or chemical hand cleansers. Consider replacing the disinfectant wipes with the EnviroCloth for a sustainable, non-toxic solution. The microfiber technology in the EnviroCloth has the ability to remove up to 99 percent of bacteria from a surface with only water! Also keep in mind that chemical disinfectant products, including bleach, need to stay on a surface for a certain duration of time to work adequately. You might be surprised how many wet wipes it takes to ensure the surface stays wet for the full 4 to 10 minutes directed on the label to actually kill bacteria. The micro silver in the wet Enviro Cloth self-cleanses within 24 hours to drastically reduce mold, fungi and bacterial odor. Good hand washing habits are key to staying healthy this time of year. 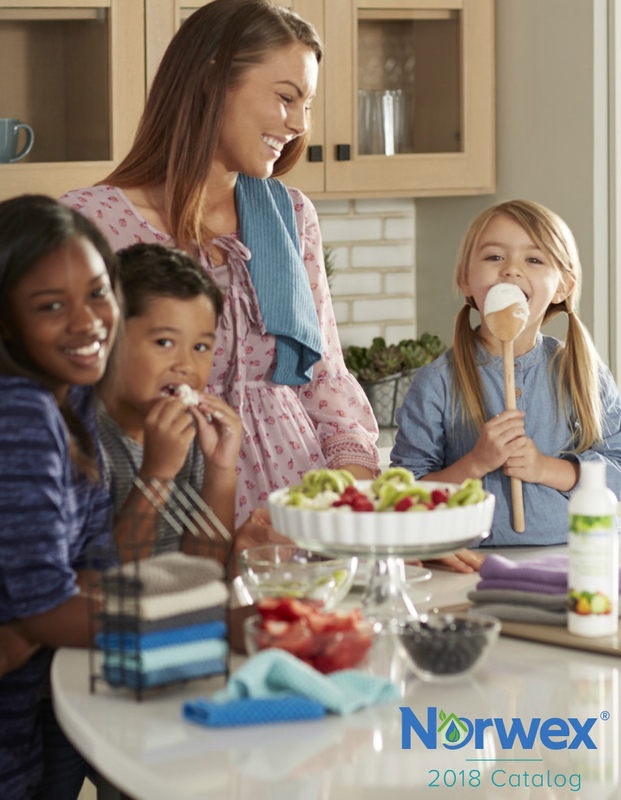 Everyone in my family has the Norwex Timeless Natural Hand Cleaner in their bag or backpack for those times when we might not be able to wash our hands. 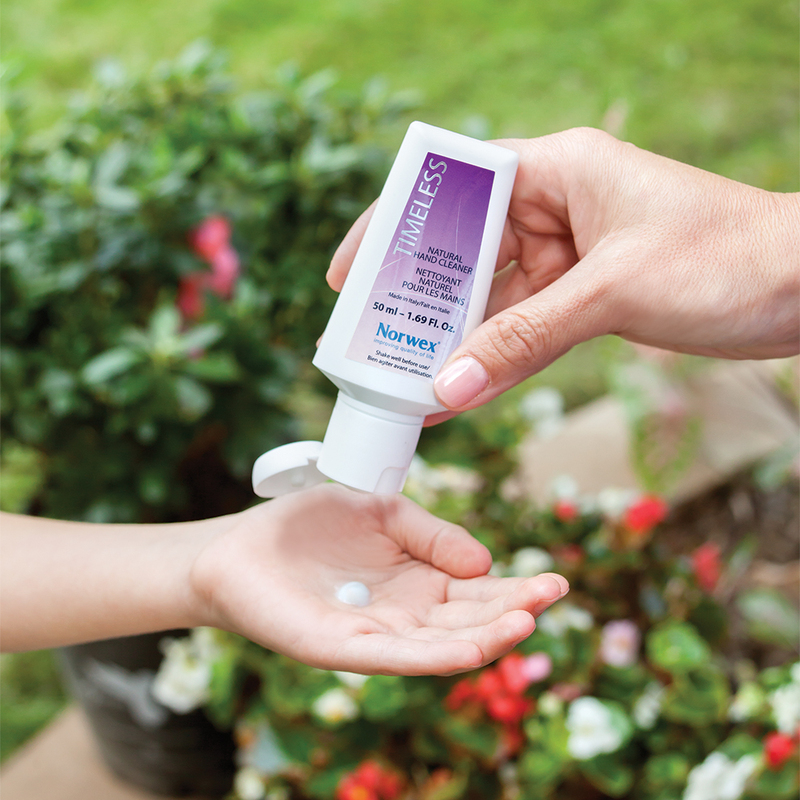 It’s triclosan- and alcohol-free, and won’t dry skin like alcohol-based hand cleaners. 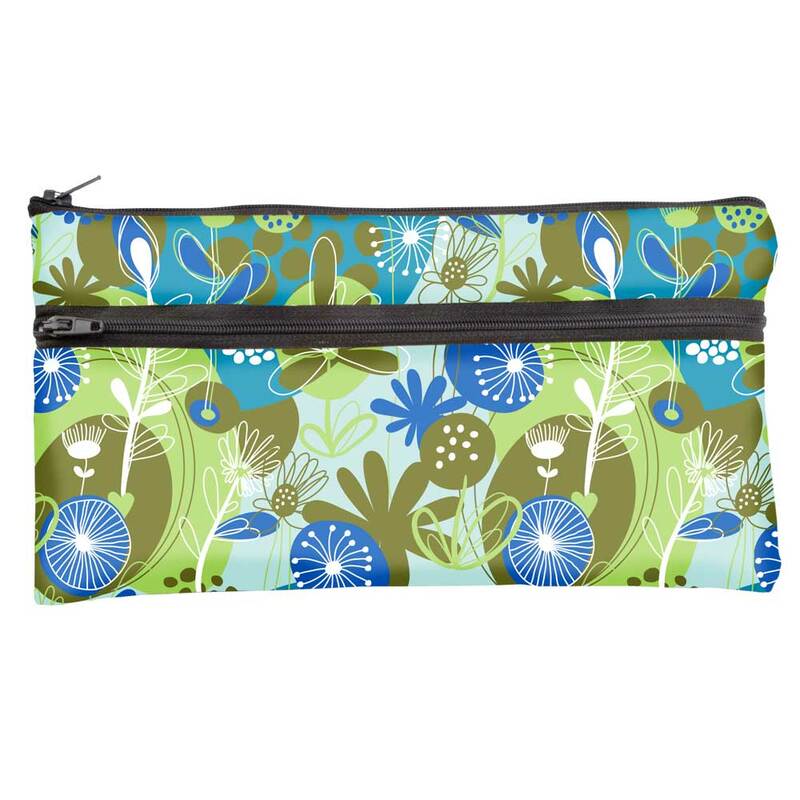 For both surfaces and hands, I really like to keep a moist EnviroCloth or a Body Pack in the Norwex Reusable Wet Wipes Bag when I’m on the go or traveling. That way I can quickly wipe down the yucky surfaces in planes (I hear tray tables are one of the germiest spots imaginable. Gross!) or clean my hands if water isn’t available for washing. Did you know that about 85 percent of contaminants are brought into the home in the first four steps? That’s why I LOVE my Norwex Entry Mat. 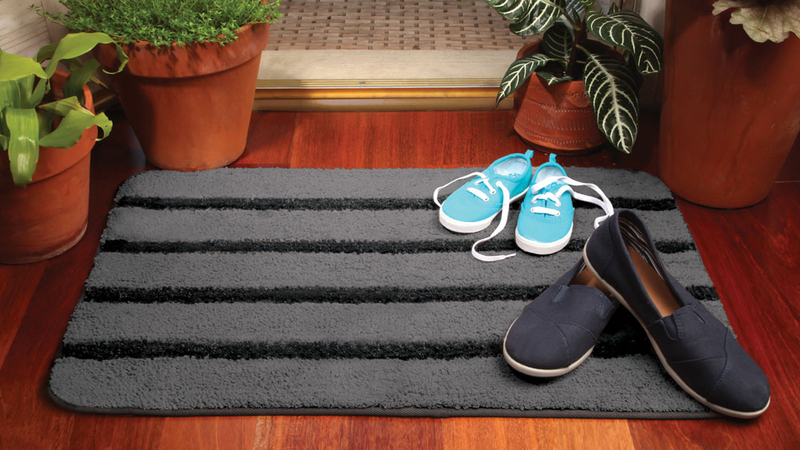 Especially at this time of the year, we leave our shoes on the mat right by the door. The super-thirsty microfiber and stiff bristles in the mat, help our outdoor gear dry while trapping what we drag in from outside. You’ll never be able to completely avoid getting sick, but you can certainly arm yourself. So eat well, sleep well, take care of yourself and stay healthy with the help of Norwex this season!